Haverhill Pointe by D.R. Homes will be located in the West Palm Beach area of Palm Beach County, just to south of Belvedere Road. The community will consist of three single family home models both 1 and 2 stories. The generous and flowing floor plans will accommodate all sized families and will range from 1504 square feet to 2447 square feet with 3, 4 and 5 bedroom options. All homes will feature a 2 car garage and a backyard space perfect for entertaining. 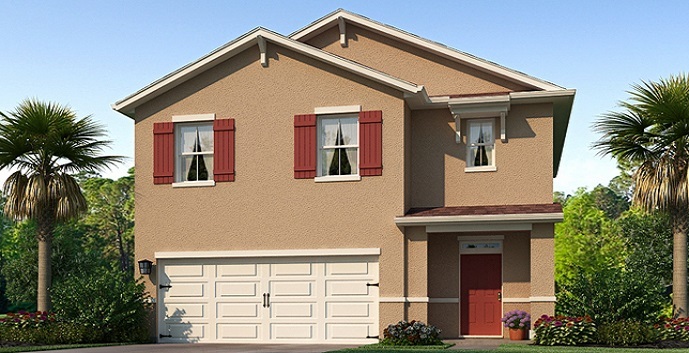 Haverhill Pointe homes by DR Horton offers 4 models to chose from. 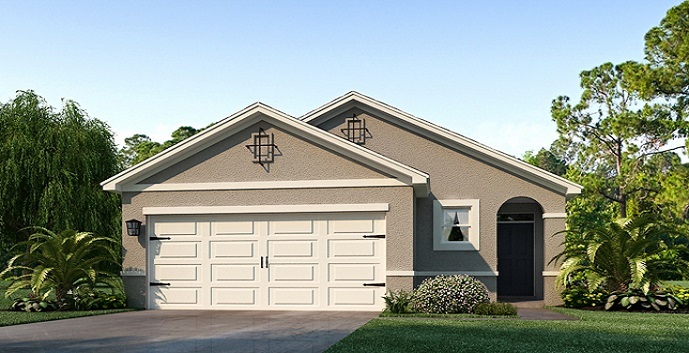 Allex - 1 story homes with 3 bedrooms, 2 bathrooms, 2 car garage, living room, dining room and covered lanai. Aisle - 2 story homes with 4 bedrooms, 2 and 1/2 bathrooms, 2 car garage, living room, dining room and patio. 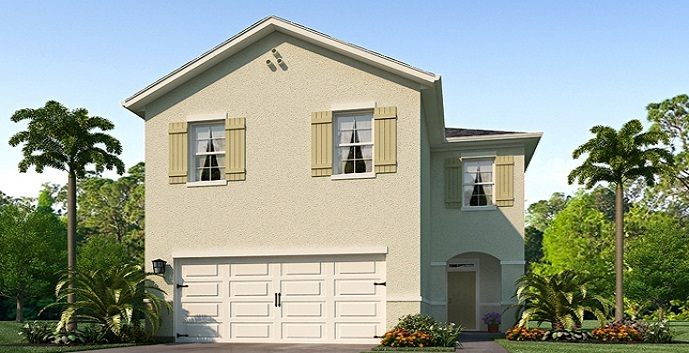 Robie - 2 story homes with 5 bedrooms, 3 bathrooms, 2 car garage, living room, dining room and patio.